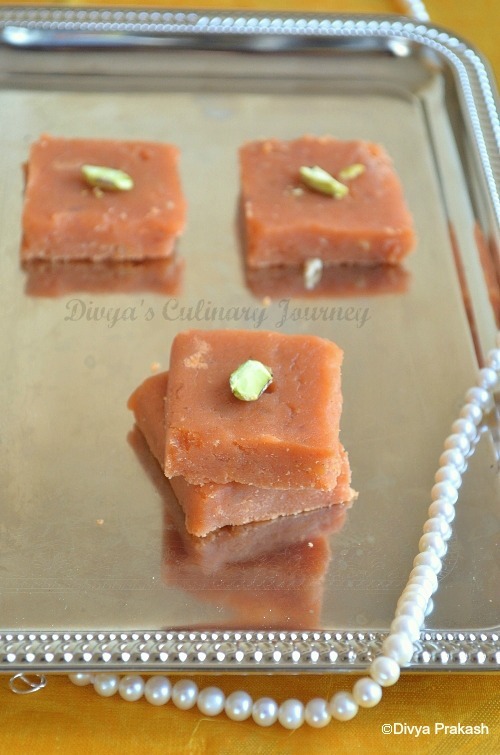 yummy looking halwa/burfi dear :) nice clicks .. Delicious and yummy barfi !! 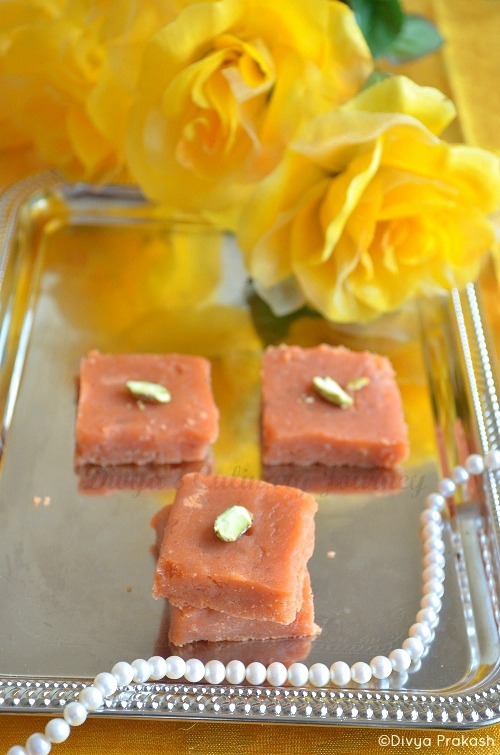 Omg, you remember ur grandpa's birthday, congrats and my kisses to Thaara dear..Love that mild pink colour halwa sis, prefect square and inviting. 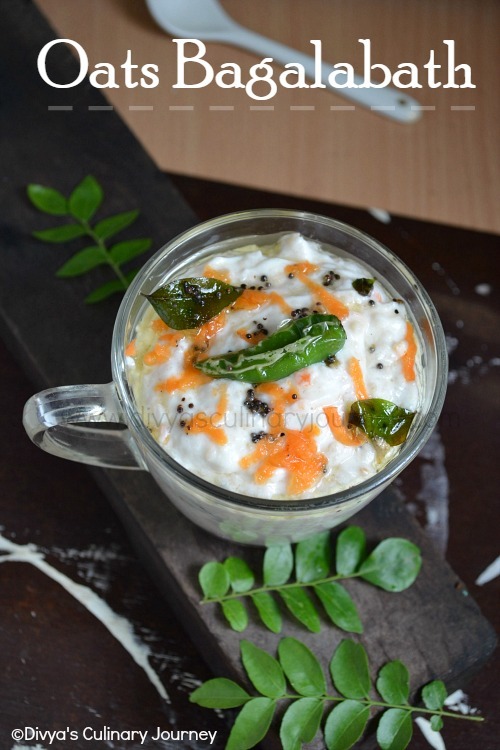 beautiful clicks Divya..beautiful halwa too.. 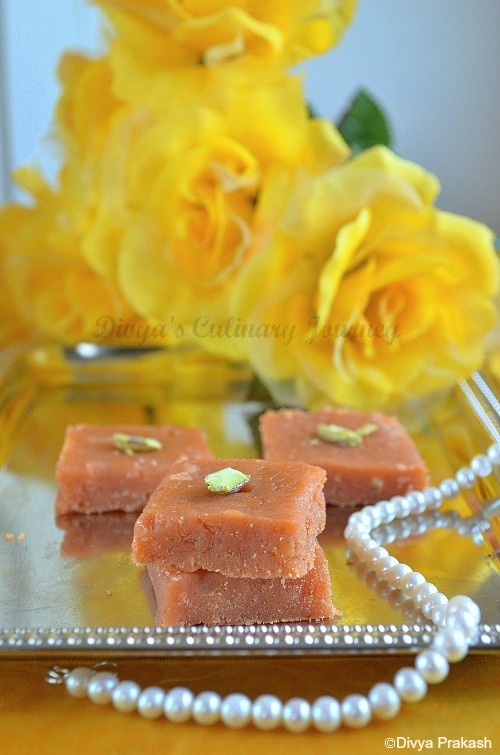 The halwa looks so beautiful with that lovely pink color.. It looks so beautiful n nice colour!! Looks perfectly made, it had a lovely colour! That's a beautiful work, there. Yum yum, lovely addition of color...nice presentation, too. Halwa looks great dear,love the color. 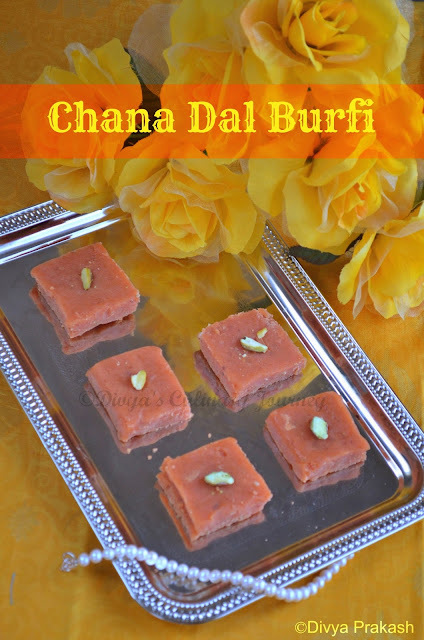 Very different barfi .. never tasted it. Looks delicious and well presented. Very different looks of barfi, as u used food colour. Lovely effort and looks too delicious.